Thanks to our friends at KidFriendly DC for the update on the holiday hours at Santa’s workshop on the White House Ellipse. It seems the workshop has not been open consistently due to it being staffed by volunteers this year. 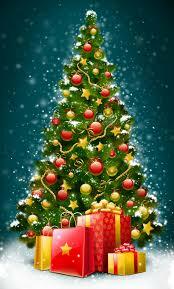 Read the KidFriendly DC article for more information: What’s Going on at Santa’s Workshop? It’s that time of year again…the time of year when the kids are out of school and you are looking for things to entertain them, not to mention the family that you have coming to visit as well. Here are my Top 5 activities for kids over the holidays in DC. I have mentioned this event before, but it is still one of my favorites. Trains take over the Botanic Garden during the holidays and turn it into a magical place. Click here for more information. The Botanic Garden is one of the few places open on Christmas Day so after the presents are unwrapped and you are looking for an activity, head down to the national mall. You’ll have the whole place to yourself, which is fabulous! Got a hockey fan? 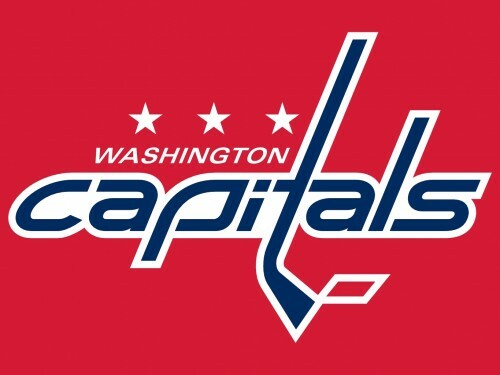 The Washington Capitals hockey team practices every morning at Kettler Ice Rink. The start times vary between 10:00 am and 11:00 am based on the Caps evening game schedule so be sure to visit the website before heading out. Also keep in mind that there is often a public skate time at the rink directly after the Caps practice so your kids can try out the new moves they have learned. Click here for more information on the Caps practice schedule and click here for the Caps game schedule. And for more general information on the public skate times at Kettler click here. 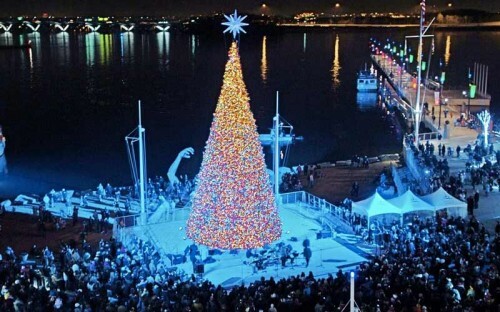 Each year National Harbor is transformed into a dazzling Christmas extravaganza. Be sure to get tickets for ICE, a winter wonderland made of 2 million pounds of hand carved ice sculptures, including two slides. While you are there take a spin on the recently installed ferris wheel, which is especially pretty at night. Pack your patience, as it is a popular destination, even with a timed entry ticket lines can be long. Click here for more information on all of the seasonal activities and a list of the shops and restaurants at National Harbor. In the shadow of the White House and the National Christmas tree is Santa’s workshop – a well kept secret in town. 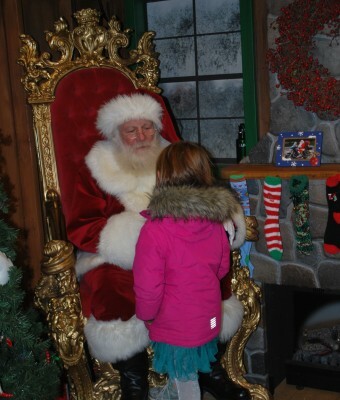 Through December 21st, on Friday – Sunday Santa’s workshop is open from 12:30 pm – 9:30 pm. 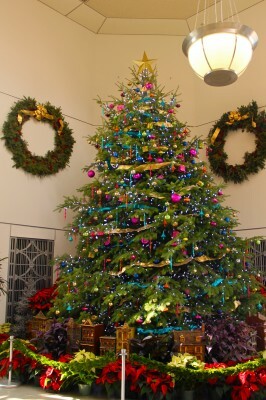 While you visit Santa you can also see model trains and the 50 Christmas trees representing each of the 50 states and decorated with ornaments made in that state. Click here for more information. Want to sneak in a bit of learning over the holiday break? How about a trip to President George Washington’s home, Mount Vernon. During the holidays you can tour the home during the day and visit the rarely opened third floor of the mansion or you can take a candlelight tour during the evening where you will be welcomed by Mrs. Washington herself. 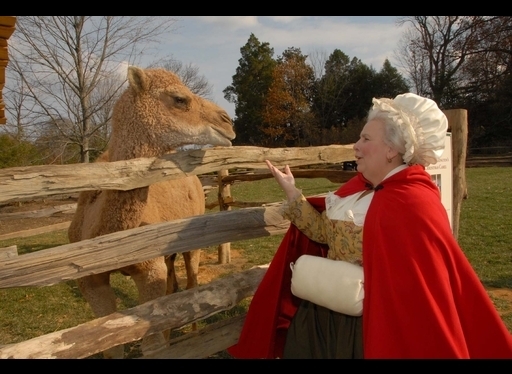 You may even see a camel, as rumor has it Mr. Washington once brought a camel to the house over the holidays to entertain his guests. Click here for more information. In addition to these fun activities, there is ice skating, the Nutcracker, an indoor trampoline park and our wonderful Smithsonian museums. Two other great websites with weekly postings on current events are Red Tricycle and Kid Friendly DC.